Patients who had cataract surgery in the past using monofocal lenses and now rely on glasses to focus vision can receive surgery to insert a 'piggy-back' Sulcoflex lens to support the IOL and improve vision. Patients who have undergone cataract surgery with a monofocal replacement lens rely on glasses for reading, driving or seeing long distance. Using a Sulcoflex lens, opthalmologists are able to enhance the patients vision in a short surgery and remove the need for glasses. Sulcoflex lenses are designed to sit between the iris and the implanted intraocular lens used to replace the natural lens during cataract surgery. The Sulcoflex lenses act as a supportive lens to the monofocal lens and enhance the vision. As light enters the eye it is transferred backwards in a straight line towards the retina. If the light refracts as it enters the eye and passes through the lens, the image that is received is unclear and vision becomes distorted. The Sulcoflex lens is inserted between the iris and the previously inserted IOL to support the IOL, preventing light refracting as it enters the eye and enhancing vision. Known as 'piggy-back' lenses, the Sulcoflex lenses support not replace the previous IOL inserted during cataract removal surgery. The additional lens slips into position between the monofocal IOL and corrects any residual refraction of light as it passes the IOL. 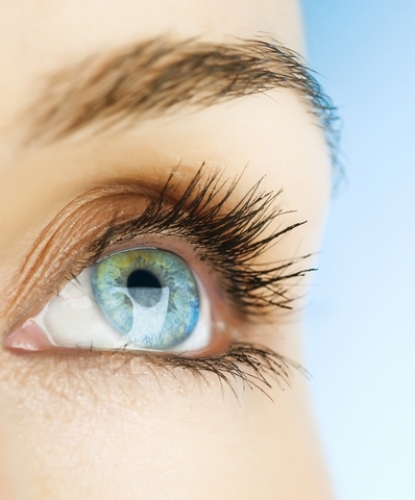 The use of two implants instead of one IOL is called 'double lens' surgery. Opthalmologists recommend Sulcoflex lenses to any patient who is reliant on glasses or contact lenses for 20-20 vision as an alternative to eye surgery to remove and replace the IOL. Unlike IOL exchange surgery, used to replace a monofocal intraocular lens with a multifocal IOL, the IOL is not removed making it a short, uncomplicated procedure. The Sulcoflex lens procedure is quick: the news lens is inserted into the eye through a syringe. The Sulcoflex lens is minimally thin allowing the lens to curl inside the syringe and unroll once inside the eye. The eye surgeon will dilate the pupil, insert the syringe containing the lens into the eye and then seal the eye with a protective shield while the lens unfolds and settles into position inside the eye. The shied is removed within one-two hours and patients can return home the same day.